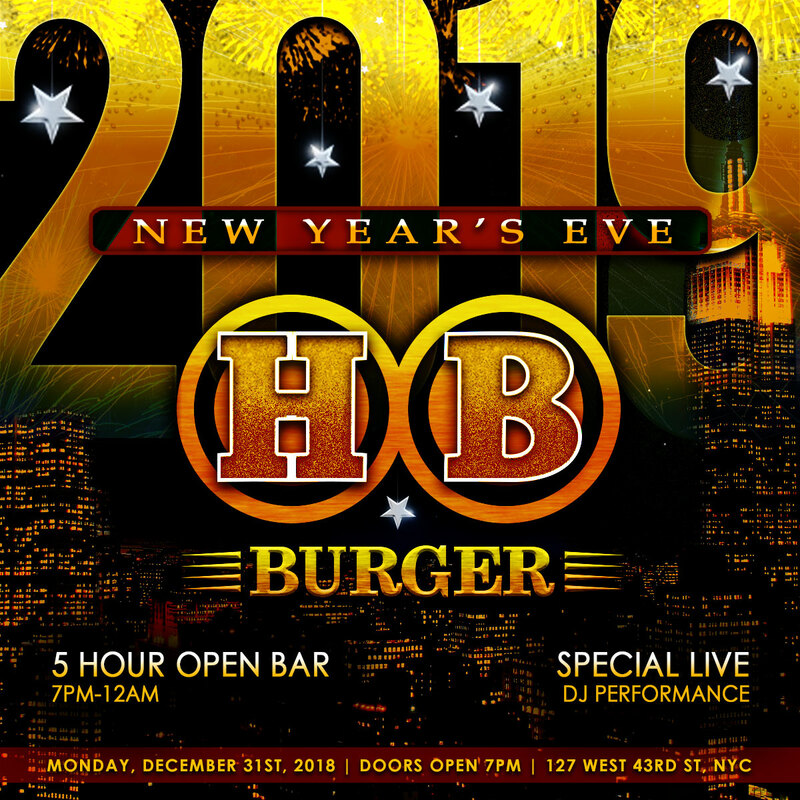 For a comfortable, family friendly New Year’s Eve right in the heart of NYC Times Square, look no further than HB Burger. This sprawling-yet-cozy chophouse style member of the Heartland Brewery family will be serving up the best locally crafted beer in NYC throughout the night…to enticingly frothy effect. It’s a rich, delectable spin on NYE tradition right in the heart of the world’s best city, New York, guaranteed to leave your whole family full of New Year’s spirit. An effervescent New Year’s Eve experience in Times Square is on the menu at HB Burger, NYC’s premier chophouse-style pub and restaurant for rollicking family fun. With a wide selection of wine and liquor on hand and a hearty selection of craft beers from Heartland Brewery available during the 5 hour open bar, you’ll enjoy one of the best libation-fueled experiences in the country. Plus, a 4 hour buffet will tickle your palate with classic American tastes starting at 8pm. With a wide selection of special VIP options and a complimentary champagne toast at midnight to rocket your night to new heights of merriment, HB Burger is Times Square’s ticket to a grand New Year’s Eve with a warm, smooth finish. It’s gonna be a pretension free night of New Year’s revelry at HB Burger this year. Indulge. HB Burgers offers the style of a sophisticated steakhouse restaurant right in the heart of NYC’s most bustling intersection –Times Square. Generous seating accommodations and two back-lit bars decorated in iron and wood lend the space sophistication and elegance without sacrificing any classic American style. An aesthetically low-key slice of Americana with a touch that is distinctly New York, HB Burger is the place where beer fans and families alike gather to relax with incredible brews and delightful food in the midst of America’s most outrageous city. This New Year’s Eve, the best down-to-earth, steakhouse and pub experience is yours at HB Burger, Times Square’s ultimate family destination for frothy fun and classic American style.